Swarg Ashram is just like its name Swarg (Means- “Paradise”- In Hindi). 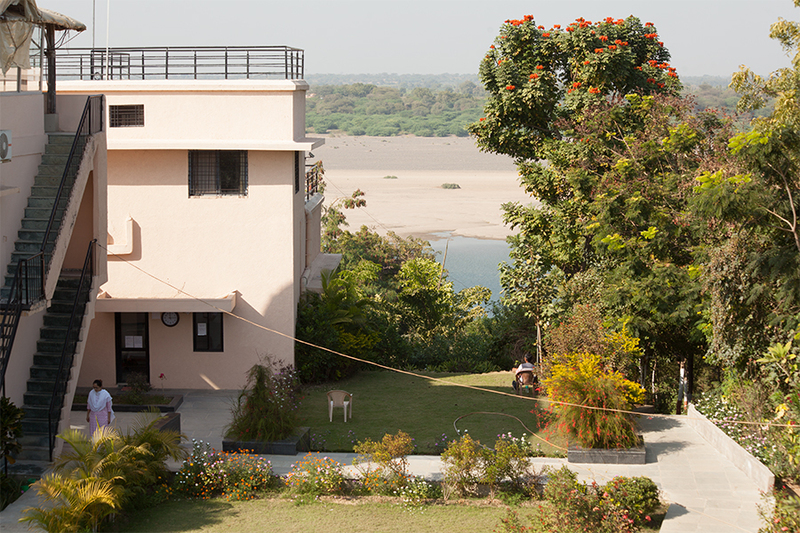 Situated on the bank of a vast and broad River Narmada, this quiet & lush green Ashram is one of the most appropriate places to be for a sincere seeker on the path. 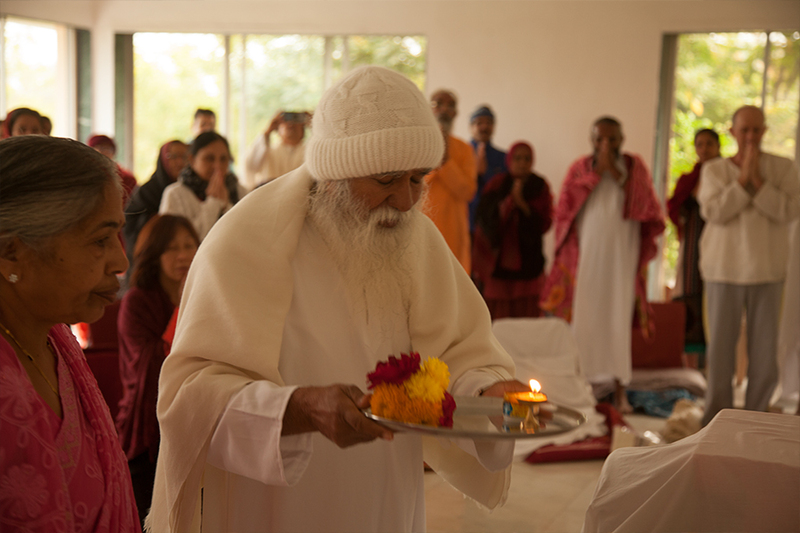 BABA encourages seekers to visit/ stay in Ashram for short or long durations- depending upon their quest on the path of Meditation or their desire to work on their spiritual journey. He can further guide someone to either stay in silence or engage in Meditations or regular Ashram activities. Many seekers visiting annually in Winters- stay In Silence for 3 or more months, however this is not a mandate. Some Annual Celebrations & regular Meditations keep the energy for this lovely Ashram in right balance- which is what Osho & Baba always want. Osho’s Birthday 11- December, Mahaparinirvaan Diwas- 19 January, Enlightenment Day- 21 March are all celebrated with full fanfare in the Ashram along with Baba’s Birthday (5th April), Enlightenment Day (21 August), And Guru Purnima (Mostly in July every year). 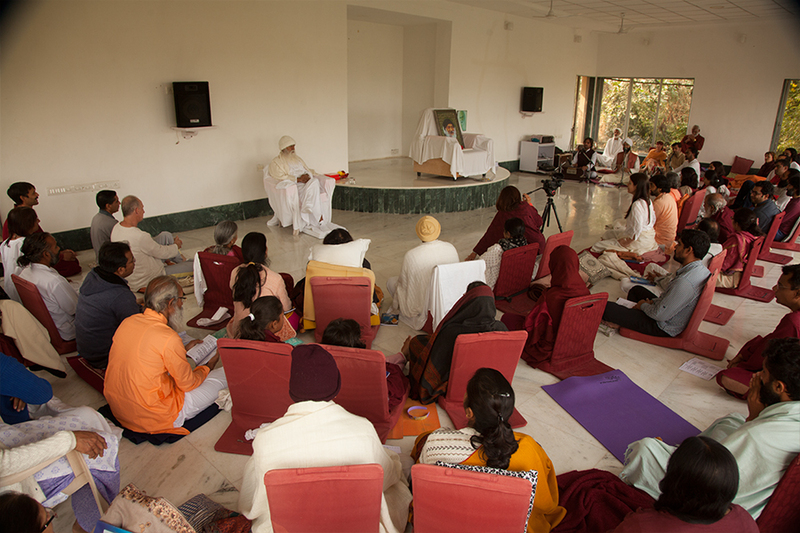 At the Ashram, one is free to Live with One-self (Aloof), stay in silence, dance, celebrate & participate in Keertan on special occasions for which one is also free to bring their musical Instruments & add to the flavour of silence & celebration- which is in essence what Swarg Ashram is all about. 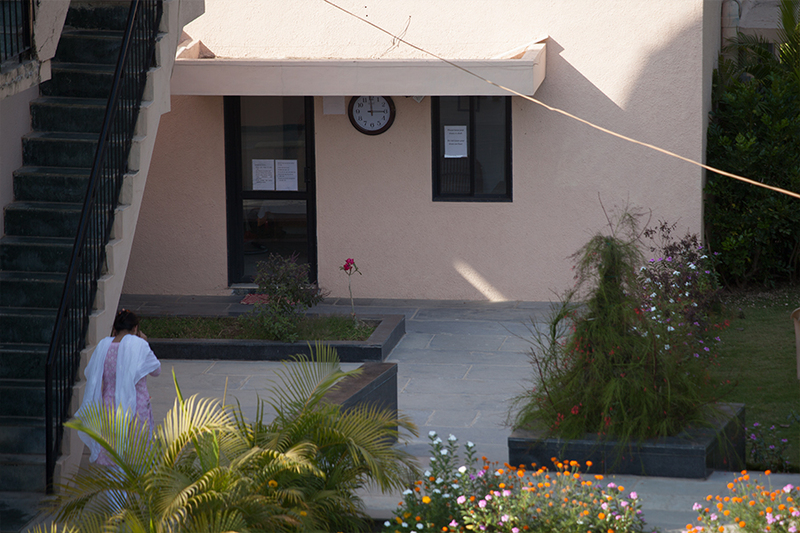 The Buddha Hall is open for regular daily Meditations like Dynamic, Kundalini, Natraj, Naadbramha and other techniques as per different timing schedule (adjusted with weather & the requirements of seekers living in the Ashram during a particular season- Baba guides them on the schedule relevant for the time & the available group). The Ashram offers Vegetarian & Saatvik food (3 meals a day) and one can connect with Kitchen for extra paid services like milk/ coconut water/ fruits which are ordered from Market in the nearby town Raajpipla. When staying at Ashram (mostly October to March & at other times in long & short intervals) Baba comes in Buddha Hall for helping people sit in silence with Him & melt in the divine energy field. He makes himself available for question- answer sessions too in Buddha Hall (depending on the need of the seekers). Individual meeting with Baba & for guidance- on any Issues that people are facing in Meditation or in their spiritual Journey- is also available which has to be booked in advance and Baba decides if it is really the time to address the query of an Individual. 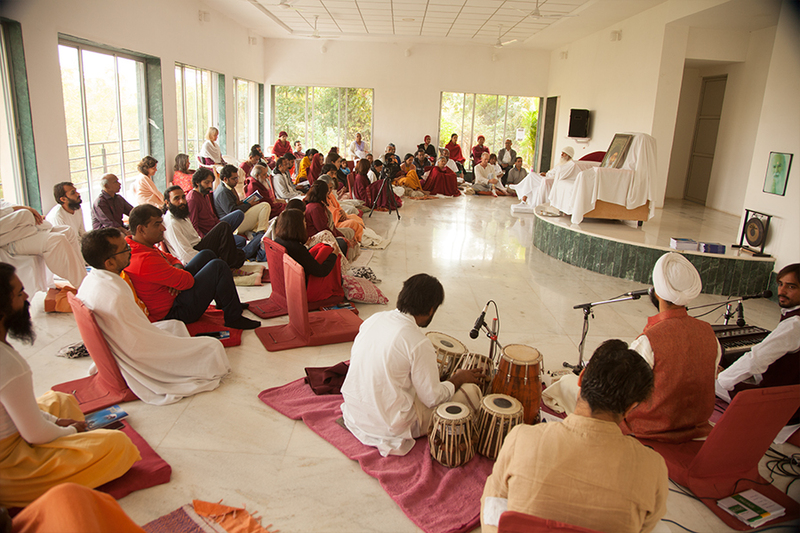 Ashram is 85 kilometer from Vadodara and 200 kilometers from Ahemdabad. when you make your plan contact us we will provide taxi to drop in ashram.
" कब तक भागते रहोगे; थोड़ा ठहर जाओ, झूम जाओ उसकी याद में। "